This article is a summary of the state of human rights in Spain. Spain is a democracy with a constitutional monarch. The Cortes Generales consists of two chambers, the Congress of Deputies and the Senate. Since 2012, Mariano Rajoy of the Spanish Popular Party (PP) has been Prime Minister of Spain, with the title President of the Government. Elections are free and fair. The judiciary is independent. Internal security responsibilities are divided among the National Police, which are responsible for security in urban areas; the Civil Guard, which police rural areas and control borders and highways; and police forces under the authority of the autonomous communities of Catalonia and the Basque Country. Civilian authorities maintained effective control of the security forces. There have been allegations that some members of the security forces have committed isolated human rights abuses. The market-based economy, with primary reliance on private enterprise, provided the population of over 40 million with a high standard of living. The Government respects the human rights of its citizens; although there are a few problems in some areas, the law and judiciary provide effective means of addressing individual instances of abuse. There are allegations that a few members of the security forces abused detainees and mistreated foreigners and illegal immigrants. According to Amnesty International (AI), government investigations of such alleged abuses are often lengthy and punishments were light. Lengthy pretrial detention and delays in trials are sometimes problems. Violence against women was a problem, which the Government took steps to address. Trafficking of women and teenage girls for the purpose of prostitution was a problem, which the Government also took steps to address. Under a new health law introduced in September 2012, immigrants without proper residents permits are to be refused medical care. Illegal immigrants older than 18 will only be entitled to free treatment within Spain's healthcare system in cases of emergency or a pregnancy or birth. In February 2014, a Spanish court ordered the arrest of China’s former Party General Secretary Jiang Zemin and former Premier Li Peng for the alleged genocide and torture of the people of Tibet. The Chinese government expressed anger at the actions of the Spanish court, with foreign ministry spokeswoman Hua Chunying stating "China is strongly dissatisfied and firmly opposed to the erroneous acts taken by the Spanish agencies in disregard of China's position,". 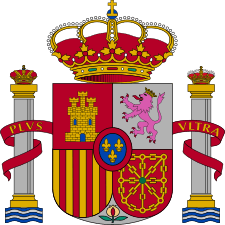 In May 2014, in response to the diplomatic situation, the Spanish government repealed the universal jurisdiction law. Former judge Baltasar Garzón has criticized the government's reform. Commenting on the judges ability to prosecute foreign crimes against humanity, genocides and war crimes he said "The conditions that they're imposing are so exorbitant that it would be almost impossible to prosecute these crimes. ↑ "China angry over Spanish arrest warrant for former president Jiang Zemin". www.abc.net. Retrieved 9 October 2014.